The Ghia Urban, later called the Ghia Manx, was one of the early Ghia creations using Fiesta architecture and running gear. 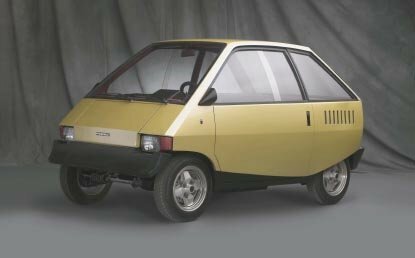 It was a small city car, standing just 137 centimeters tall and only 259 centimeters long. Despite its diminutive size and short, two-door profile, this concept car could seat four people. It was designed in the aftermath of the fuel crisis of 1973 as a solution to urban congestion and higher fuel prices. It even had storage for luggage in a storage area in front of the driver.